What is Best Fitness Tracker for Women ? Until recently, fitness gear would be designated exclusively for men. Nonetheless, this has altered due to the ever-growing number of women who have become interested in fitness and in keeping track of their progress. How to use a Fitbit band? How do fitness trackers measure calories? Do fitness trackers work on elliptical? How do fitness trackers measure steps? Are fitness trackers really helpful? What are the health benefits linked to wearing fitness trackers? How do fitness trackers measure sleep? On that note, a full range of sports watches for women have been developed; many are high-qualitative and reliable; which is a topic we’ll talk about in today’s post. Before we introduce you to the best running watches for women, we will cover some of the most commonly met questions one has when in the market for the best fitness tracker for women. The odds are that you have already heard of the famous Fitbit band which is one of the most popular choices for fitness tracking. The right way of using the band comes down to a range of practices. For starters, after you have purchased your Fitbit band, you should set up the software linked to the band that will encompass all the tracking information. Download the app on the devices you intend to use. If you wish to get the most out of your Fitbit band, which we suspect you do, you should try to wear it round the clock, if possible. Since the device is water-resistant as well, you can wear it while engaging in numerous activities including showering, swimming, so on and so forth. Its minimalist design makes it comfortable to wear while you’re sleeping as well. Presumably, one of the fundamental reasons you’re thinking of acquiring a fitness tracker is to lose weight. For starters, tracking down your progress keeps you motivated, which may be the key to getting rid of extra pounds. In the meantime, this kind of gear highlights that every movement you make counts, in the long run, which is also encouraging. Nonetheless, according to some scientists, wearing a fitness tracker is no guarantee that you’ll reach your weight loss goals in no time. Since the estimates aren’t 100 percent accurate, they can present misleading information which makes the user assume he/she is healthier than he/she actually is. Whether you wear a tracker or not, you are the one that is responsible for the choices you make regarding dieting and exercising. Certainly, there is a range of obvious benefits related to wearing a fitness tracker, as we mentioned above. You are the one that should establish whether wearing a tracker enables you to get closer to your fitness and health goals. If you reckon that the best running watches for women allow you to improve your condition, you should definitely go for such an item. According to a study published in the journal Medicine and Science and Exercise, wearing your fitness tracker on the hand you move less is a good practice. That is because you tend to move your dominant hand more, but that doesn’t imply your entire body is in motion. That being said, we recommend you to add this information, if your tracker allows you. If you want to have a detailed and comprehensive calculation, balancing the calories burnt against the calories consumed is important. That’s why fitness trackers aim at measuring calories. Still, are these measurements truly accurate and reliable? As one can suspect, determining the number of burnt calories is a difficult task. The majority of devices depend on acceleration and heart rate sensors that calculate a number of consumed calories. Still, by taking into account the biological elements that feature each person, these calculations’ accuracy is no bigger than 15 percent. If you wish to expand your knowledge on the subject, we advise you to analyze this research that illustrates the accuracy of fitness trackers in this direction. Truth be told, the differences in calorie estimates are determined by the distinctions in the way in which the devices record data and how well they detect posture. In the meantime, the results aren’t dependable since many people fail to wear them at all times. Another common question regarding the functioning of a fitness tracker is whether it is actually effective in monitoring your activity while working out on the elliptical. When it comes to the elliptical machine, even though you are moving your body, that doesn’t imply a direct impact similar to the one that your body produces while walking. That is why the accuracy of the gear while working out on the elliptical is subpar. Nonetheless, some trackers provide you with the option of selecting the type of activity you are conducting, in this case, the elliptical. In such instances, the result will be more close to the reality. Note, however, that when you choose this option, the tracker will monitor your heart rate as opposed to your steps. It is crucial to note that the results provided by a fitness tracker are mere estimates, especially when it comes to elliptical training. 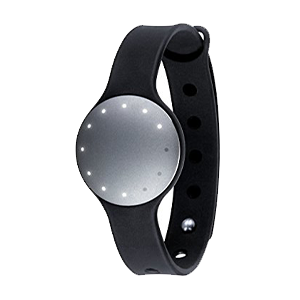 A fitness tracker continually monitors your body movements using a three-axis accelerometer. As long as the gear is powered up, it will record every step. To be more precise, if your tracker presents more sensors, the data it offers will be more accurate. These sensors have the purpose of measuring frequency, acceleration, intensity and duration of each movement; that’s how it determines the number of steps one takes. Considering that the user has shared his/her personal details and added them to the software, the data goes through an algorithm which makes it possible for the software to detect various types of movements. Many people question the usefulness of women’s waterproof sport watches. We could say that whether such a device helps you or not depends on every user. In the case in which you fall into the trap of relying excessively on a gadget, you’ll experience the over-monitoring syndrome, which will overwhelm you from a psychological and emotional point of view. In other words, you may lose focus on your primary goal of enhancing your overall health condition, in favor of struggling to meet your daily steps-per-day goal. Being healthy is not about fulfilling the number of steps, it’s about implementing a combination of practices such as healthy eating, sleeping routine, so on and so forth. Since such a device can actually interfere with a person’s working plan, as opposed to helping them, this is a common concern when it comes to women’s athletic watches. At the end of the day, it comes down to this: making your fitness watch work for you and being flexible. We would have to say that, if you’re looking for a set of specific features, sports watches for women combine features such as heart rate monitoring, waterproofness, and built-in GPS. In fact, women’s waterproof sports watches are growing in popularity. Improving the overall quality of your sleep: One thing is for sure: if your body doesn’t get enough rest, it will suffer the consequences. In this direction, the best fitness tracker for women provides you with relative information regarding the quality of your sleep: how well you’ve slept, how long, so on and so forth. That enables you to determine the internal and external factors that could be throwing off your sleep. Monitoring your heart rate: Some fitness trackers are featured by heart rate monitors that focus on reading the heart’s electrical activity. Some of the state-of-the-art models track your heart rate while you’re resting or working out. Such information is crucial in aiding you to make decisions that are healthy for your body. And a dependable pedometer watch for women can be a miracle maker. More exercise: A fitness tracker motivates you to engage in physical exercise on a regular basis, which, according to a study, increases life expectancy. In other words, if you’re a competitive person, tracking down your progress will aid you to be consistent with your fitness goals and, thus, enhance life expectancy. Women’s athletic watches are a great source of motivation as noted by a high percentage of users. Considering that sleep monitoring is one of the primary health advantages related to using the best fitness tracker for women, next we would like to explain how this mechanism functions. Most wearable gadgets regulate your sleep via actigraphy, which tracks your body movements. Much research has been developed in order to establish the accuracy of this technique. The results of the studies vary, but most have outlined the following: actigraphy is typically accurate in tracking the sleeping patterns of adults whose sleeping routine is healthy. The bottom-line is that if you’re struggling with disrupted sleep, the results provided by the fitness tracker will be less precise. That is primarily because actigraphy tracks movement. Nonetheless, sleep researchers indicate that eye movements and brain waves are equally important in assessing sleeping phases and movement alone isn’t enough. Therefore, by considering the results of the studies conducted in this domain, we could say that relying entirely on actigraphy is okay as long as you trust it only as a general guide. Nonetheless, in the case in which you’re coping with a serious sleep disorder, trusting actigraphy isn’t the best idea. You should consider consulting with a specialist and determine the root of the condition instead of depending entirely on a pedometer watch for women. 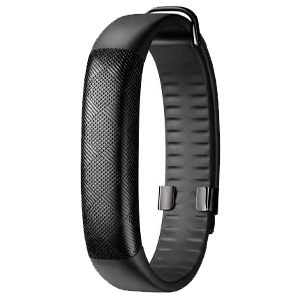 The Fitbit Charge is, without a doubt, a first-class fitness item for both males and females. It is equipped with a state-of-the-art heart rate monitor, which is a feature that comes for an additional price. You can choose to purchase the version without the heart monitor which is more on the affordable side. Use this to track your steps, the distances you travel, how well you sleep and the overall state of your heart. 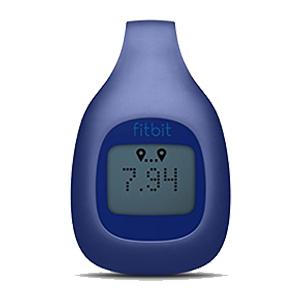 The FitBit desktop and mobile apps are functional since they provide comprehensive information regarding your fitness goals as well as general health statistics. This device looks sleek and neat so that you can wear it on a regular basis, at the office or gym. Its versatile design is, presumably, one of the major selling points that make the fitness tracker a popular choice for women. Since the back of the watch is round, it doesn’t stay put on the wrist, which can be quite uncomfortable to some. The first thing there is to love about this running watch is that it features the latest technology – this makes it a fantastic choice for some users. It delivers a unique blend of features that make it a practical and functional purchase such as GPS and water-resistance. Considering that it records vertical ratio and stride length, this device has one purpose in mind: making a runner more efficient. The watch provides you with advice on how to recover as quickly as possible after a workout. At first sight, it is hard to believe that this smart piece of jewelry is, in truth, a fitness tracker. This makes it suitable for women who like to dress elegantly and don’t want to wear a sports watch regularly. This is one of the most functional fitness watches for women, for a good reason. Being equipped with all the essential components you would expect from a qualitative fitness tracker; the Pivotal Living Band is an affordable alternative for many users. 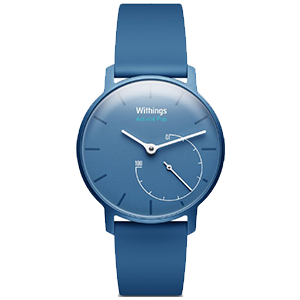 Some people don’t need an elaborate fitness tracker; Withings Go Activity and Sleep Tracker is all about simplicity and is better suited for the ones who wish to track their health status as opposed to fitness successes. You can manually add heart rate, weight, and blood pressure if you wish to comprehend your health status better.